It's no secret that I love going on holiday, but what I don't always enjoy is the stress that sometimes comes with going away. I've had my fair share of stressful travel moments - from nearly missing a flight (we literally sprinted onto the plane!) to baggage being lost, and it really can put a downer on the whole experience. These days I feel like I've got my travel routine locked down and the impact it has on my overall enjoyment is immense. Sure, not everything is always in your control (on our last trip we endured a 5 hour delay at Berlin airport thanks to a ground strike - not fun), but there are things you can do to ensure everything runs more smoothly. I can't be the only person who can never remember where they left their plug adaptor/passport/miniature toiletries/other essential travel items, right?! If you leave your packing until the very last minute you pile a load more pressure on yourself to hunt them out and can end up working yourself into a ball of stress before you've even left for the airport. Make a list of what you need to take with you the week before you're due to go and spend a couple of weekday evenings rummaging everything out and making sure all your outfits are washed and ready to go. This also gives you more time to pick up any additional bits you need which will save you time and money at the airport. 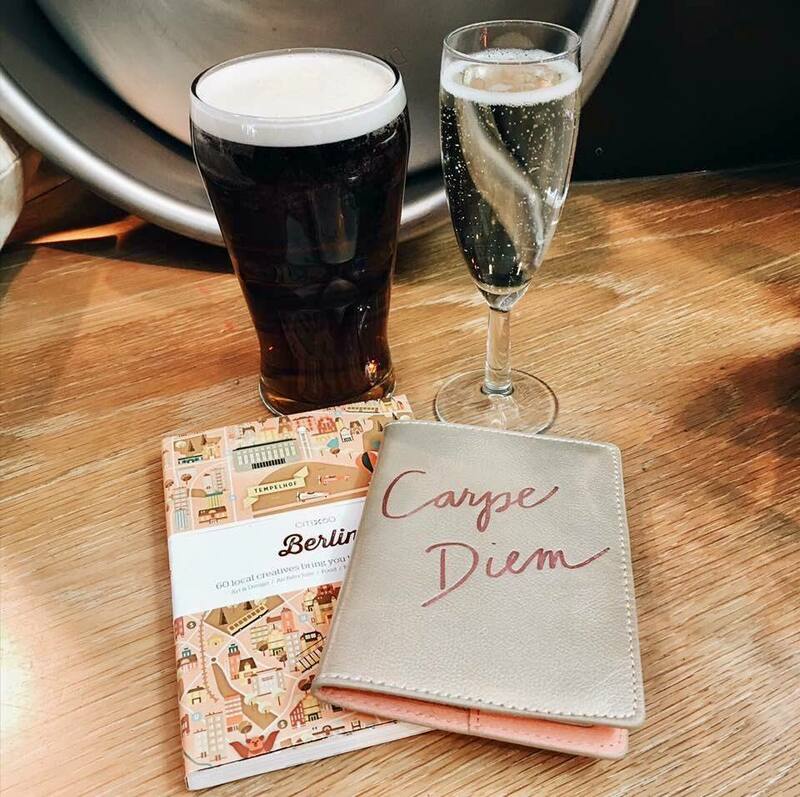 You usually know that you're going on holiday at least a couple of weeks in advance, so there really is no excuse not to get your journey to the airport organised too. Not only will it make you feel more prepared and ready, it could also save you a lot of money. Train fares are usually cheaper booked in advance and if you're planning to drive then you can get some great deals on car parking if you get in there early - Cheapflights.co.uk have pulled together a handy guide to help you save as much as possible. Most of the stressful travel experiences I've had have been as a result of not leaving myself enough time - there's nothing like sitting in stand still rush hour traffic while the clock creeps ever closer to your departure time to send your heart rate through the roof. I'm now one of those people who gets to the airport ridiculously early, but that's okay because I always have time for a glass of Prosecco and a much round duty free before boarding. Same rule applies when you land at your destination - you never know how long it's going to take to clear customs or collect your bags, so try not to make plans that require you to rush off as soon as you touch down. Sam and I don't argue very regularly but so many of the arguments we have had have taken place when we've arrived in a new destination, exhausted and jet-lagged, and can't figure out how to get to our hotel or Airbnb. Subway systems and bus routes in other cities can be confusing and take a while to understand (especially when they're in another language!) so do yourself and figure your onwards journey out before you arrive. When you're visiting a new city or unfamiliar destination, there can be so much to do and see that it can sometimes feel a bit overwhelming. I like to try and pull together a list of all my "must do " stuff before I get there so that I'm not running round like a headless chicken on my last day trying to cram it all in. Same goes for bars and restaurants - nothing stresses me out more than paying above the odds for a crappy meal somewhere super touristy, so I like to have a couple of recommendations saved in my phone as a back up. What are your top tips for stress free travel? I'm always on the lookout for ways to make the experience more fun and less panicked!